Charles and Becca both grew up visiting Lake Summit in North Carolina, even staying in neighboring lake houses, but somehow didn’t meet until 2013, when their paths crossed on an Edisto River float with friends. Afterward, Becca, a founding partner of Sisal Creative, approached Charles, director of the Charleston Music Hall, about collaborating on a project, and the two soon fell for one another. Among their many shared interests (including design, music, and art), the duo found that they also share a birthday. 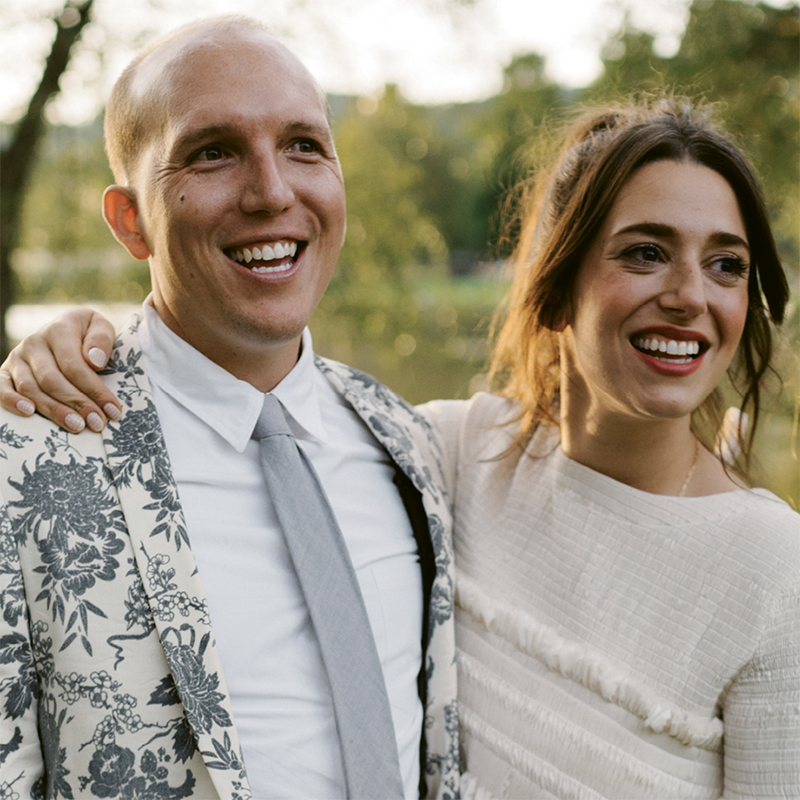 Becca and Charles wed at Camp Greystone in Tuxedo, North Carolina, where they and their guests stayed in cabins and celebrated all weekend long.